Some say the Casino Veteran is stuck in his ways, while others suggest he is a fickle soul who changes his mind about his favourite games more often than he changes his socks. 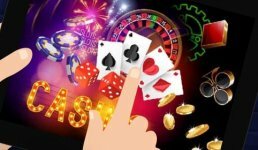 The truth is, he knows exactly what he likes when it comes to deposit bonuses, free spins and online casino games – and that is exciting, cutting-edge, new ones! Most slots fans who appreciate a generous welcome bonus and compelling gaming experiences will find that logic hard to argue with, so here are some of the new releases that we can all look forward to in the latter part of this year. 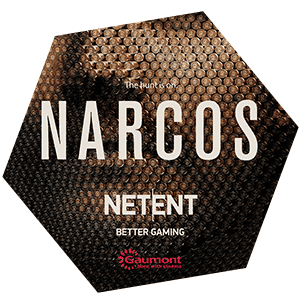 The developers at Netent have been as busy as Santa’s elves in the first half of 2018, creating a whole succession of new releases for autumn. These include two Christmas specials to look forward to. The first is Wild-O-Tron 3000, which comes across as a futuristic, festive-themed cross between Aliens and Attraction. 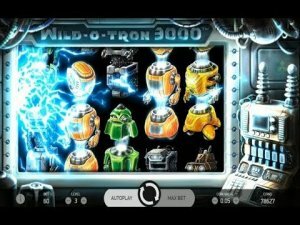 The main feature will be the eponymous Wild-O-Tron, which bursts onto the screen, turning random symbols it encounters into wilds. The release date has yet to be confirmed, but mid-November seems probable. 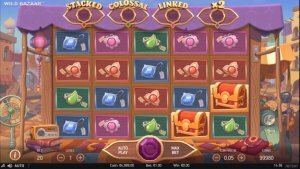 There are few themes that speak autumn like Halloween, and this game will hit the online casinos a week before the kids hit the suburban streets, with a release date of 24 October. 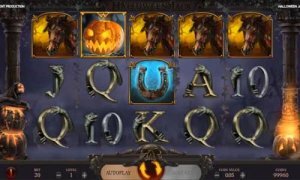 Those of a younger generation might be expecting just another Halloween-themed slots game. However, the Casino Veteran is old enough to remember the Glam Rock days. In fact, some say he was the original inspiration for Ziggy Stardust. Halloween Jack was the David Bowie persona from the Diamond Dogs album that followed the Ziggy years, and we can only hope that some of the unique imagination and characterisation from the source material will make its way into Netent’s game. The name implies a shopping or trading-themed game, but the release date suggests that the spelling should be Bizarre. This game is slated to come out on 24 October – that’s right, the same date that Halloween Jack will become available. There’s no coincidence here, and it can’t even be put down to espionage, as both games are from the same developers at Netent. The details of this one have not been shared – not even with the Casino Veteran – so he will have to wait like everyone else for late October. 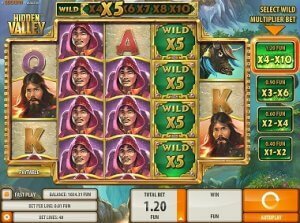 Canny slots fans will raise an eyebrow at the sight of Quickspin’s Hidden Valley on a list of new releases. After all, this is the developer’s flagship game that has been around for three years. However, the developers have been busy bringing it to 2018 spec over the summer, and the new HTML5 version is due for release any day now. 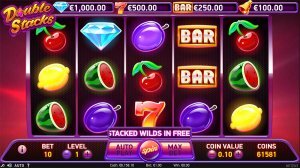 The essential gameplay in this five-reel and 40-payline slot remain unchanged, but the overall experience and interface has been brought right up to date. The developers have brought in 60 FPS graphics, a more immersive and realistic feel, and some little extras that regular players will love. 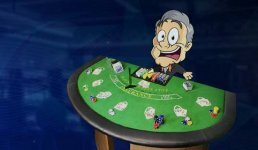 However, the Casino Veteran will say no more – you’ll have to find out for yourself. Back to the seemingly endless supply of new games emerging from Netent, we move to the first of two that are based on successful TV series. Narcos has been a huge Netflix hit with its gritty and uncompromising view of South American narcotics traffickers. The game was first announced back in February, but the release has been held back until autumn to coincide with the launch of Season Four. Any details about the finer points of the game, beyond the fact that it is based on the TV series, have been kept under wraps. The History Channel might not sound as down with the kids as Netflix, but the Casino Veteran has an eye for quality and counts that above questions of platform when it comes to any type of entertainment. 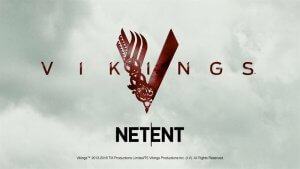 It seems that most people take a similar view – Vikings has been one of the most popular series of the past five years, and the news that Netent will be releasing a branded slots game to accompany the series was probably January’s biggest headline in the online casino world. We’ve been made to wait for the rumour to become a reality, but Netent has now given a firm date of 22 November for the game’s release. David Bowie Halloween themes and games based on organised crime or historical events all have their place, but do you ever just want to play a good, simple, fun fruit machine like the ones that dominated the seafront arcades in years gone by? If so, don’t miss Double Stacks. It has the traditional fruits, bells and so on, and a whole heap of stacked wilds to keep the payouts attractive. Preliminary estimates suggest a payout rate of 96%, which is up there with the very best of them. 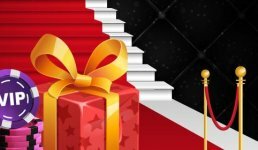 Some say the Casino Veteran is unwavering as a mountain when it comes to his all-time favourites, but we’ve shown that this is not the case. 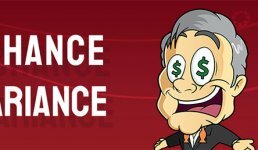 However, he still knows a timeless classic with a great payout percentage when he sees one!